Here at Fusion Eye Care, we see patients with ocular lesions on a regular basis. If you think you might be developing ocular lesions, please schedule an appointment with Dr. Bassiri as soon as possible by calling (919) 977-7480. Ocular lesions in the eye may grow in size as time passes, however, it could take several years before the lesions grow to a noticeable size. A majority of lesions could cause surface irritation, something that may result in constant eye discomfort and redness. 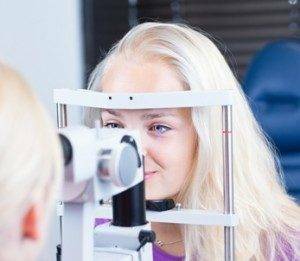 People with eye lesions should have them evaluated by an ophthalmologist to determine the right course of treatment based on lesion type and cause. Pinguecula are raised, yellowish lesions that build upon the “white part” of the eye known as the conjunctiva. These lesions form after an alteration of normal tissues, resulting in a deposit of fat and proteins. Why this happens is yet to be known. However, prolonged exposure to infrared radiation and ultraviolet rays from the sun is believed to encourage the growth of pinguecula. Pinguecula generally do not exhibit any symptoms; however, if irritated, you may feel as though there’s something trapped in your eye. In some cases, these lesions get infected and swell. The condition is referred to as pingueculitis and is characterized by irritation and eye redness, symptoms that may be worsened by extremely dry weather, wind, or dust. The severity of pingueculitis symptoms normally determines the course of treatment to be taken. Lubricating eye drops could be prescribed for mild cases to ease dryness of the eyes. Anti-inflammatory or steroid eye drops could also be prescribed to relieve severe inflammation and swelling. In extreme cases, the removal of the lesions surgically could be prescribed if they start interfering with blinking, vision, or wearing contacts. Pterygium is fleshy growths that resemble a tissue or film growing over a patient’s eye. This happens when the conjunctiva starts invading the transparent part of the eye that covers the pupil, anterior chamber, and iris known as the cornea. An overgrowth of the conjunctiva is often what gives these lesions their unsightly appearance. Just like pingueculae, pterygium is likely to be caused by an overexposure to ultraviolet rays from the sun. A majority of people with pterygium don’t experience any symptoms; however, the growth may swell or become red when infected. The lesion may also become thick or large, leaving the patient with the feeling like there’s a foreign object in his or her eye. In advanced cases, the lesion may be visible and may look like a film covering the eye. The patient could have the lesion surgically-removed for aesthetic purposes. Nevertheless, surgical removal is often unsuccessful since the lesions have a 40%-50% chance of reoccurring after the procedure. If the lesion is small but becomes swollen, it could be treated with steroids or lubricating eye drops to relieve inflammation. As mentioned above, surgical removal is one way to get rid of these lesions; however, it is generally not needed. Dr. Bassiri could help determine the best course of action to take when it comes to treating the condition. 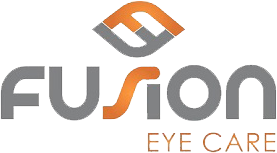 If you have any additional questions about ocular lesions, Fusion Eye Care is here to help. Please schedule an appointment with Dr. Bassiri as soon as possible by calling (919) 977-7480.